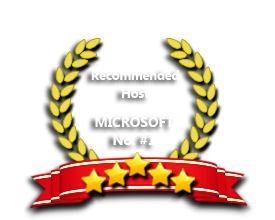 ASPHostPortal is the leading provider of Windows hosting and affordable Silverlight 4. Our price starts from $4.49 per month. ASPHostPortal.com provides you hundreds of features and controls that, when combined with the continued innovation in Microsoft’s world-class tools for designers and developers — Microsoft Visual Studio and Microsoft Expression Blend – present the leading edge in rapid, powerful application development. With printing support, rich reporting and charting, and integration with back-end systems and server products including Microsoft SharePoint, Silverlight is ready for business. Our Windows Cloud Hosting fully supports Silverlight 4 hosting. You are more than welcome to try our Free Windows Cloud Hosting before you decide to buy. You can get your Free Cloud Windows hosting account up and running within the next few minutes.